JCR Enterprise, has developed websites for a number of business customers and companies within Clearwater and St. Petersburg, Florida (Pinellas County). 1). Graphical Design of the website that is an aesthetic and professional presentation of your company or organization image. 2). Comprehensive marketing content, to differentiate your products and services from those of your competitors. The objective is to encourage the website visitor to take the next step in pursuing business with you. 3). Search engine optimization to enable "internet surfers" to provide high search engine rankings, so that potential customers may easily locate and view your website (when they query search engines to locate providers of products and services that you offer). 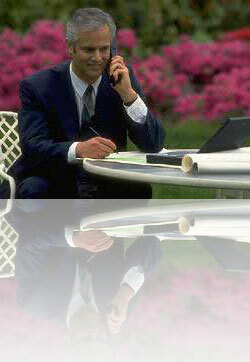 Are you interested in obtaining a company brochure for additional information regarding internet marketing? Click Here. Joanne Roach, President of JCR Enterprise, is the sole individual who works with all clients of JCR Enterprise and develops (in their entirety) internet marketing, web design or management business consulting programs. 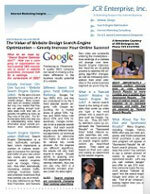 Web Design Tampa Search Engine Optimization and Internet Marketing by JCR Enterprise, Inc. Copyright JCR Enterprise, Inc. and Licensors. All rights reserved.